Hopefully it will continue following Annabelle’s footsteps if a sequel is made. 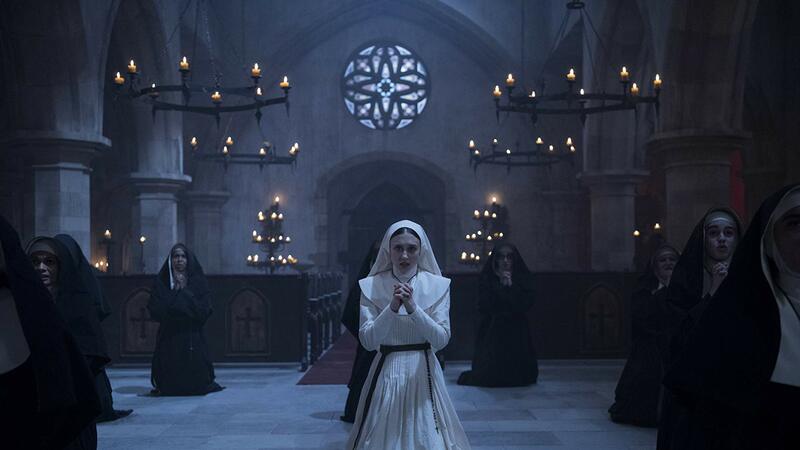 “The Nun” follows the same mistakes as the first Annabelle in that it has very little character development with a very awkward and weak script. The beginning is very sloppy, especially the exposition scene, that it makes even the best actors look like they don’t even know how to act. While there are some genuine creepy parts to the movie, most of the “scary” moments in this film comes from cheap jump scares that you can see coming from a mile away. For how popular The Nun was as a character in it’s previous appearances in the franchise, she was barely in this movie until the very end. Also, The Nun felt more like Pennywise the Clown than a horror demon of it’s own, seemingly trying to scare the characters by tricking and playing pranks on them than actually trying to harm them for most of the movie. 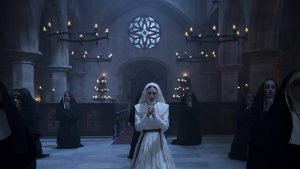 What “The Nun” does have going for it is it’s cinematography. The Romanian country sides toward the beginning of the movie are breathtaking and the 1950 Catholicism theme really made for some unique visuals. There’s one big scene at the end that I really enjoyed that made it really feel like a classic horror film and had a very cleaver moment in it. Overall, “The Nun” could’ve been a lot better than it was and doesn’t live up to the hype that surrounded it. It should’ve been an actual origin story about The Nun than the little bit of the origin story that we ended up getting from it.